A blog about life with Celiac, MS, and an attitude I've cultivated like fine wine. Red pepper jelly is a staple of the classic PA Dutch repertoire. Sweet or hot. Clear with a reddish tint to it. On cream cheese with crackers, oh my. These days I have it on cream cheese on a red pepper square. My exhausting jam-a-thon. Totally worth it. This is Christmas in the bank. It was a loooong weekend last week. A three-day weekend that felt like a week. Jam yesterday, jam today, jam tomorrow . . . gosh, I hope I’m done by Monday! 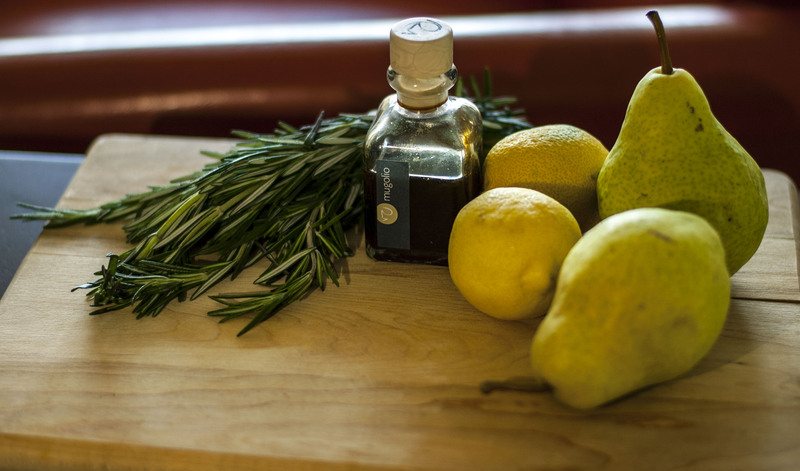 The ingredients for Rachael Saunders’ Pear Jam with Rosemary & Pine. I’m making jam today. Lots of it. Continue reading Jam yesterday, jam today, jam tomorrow . . . gosh, I hope I’m done by Monday!